Travel safety for robots | Christoph Bartneck, Ph.D. Yesterday we took out our Nao robots for a presentation. 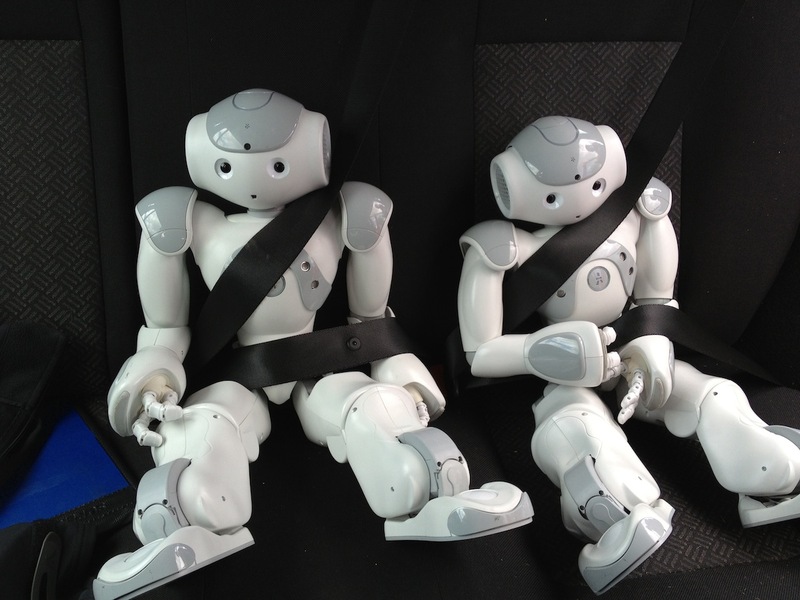 We drove there with a car and we were wondering if robots also need to be buckled. We decided that it probably would be a good idea. Better to be safe than sorry.